Buy Your 40 S&W Ammunition In Bulk And Save Money Today! 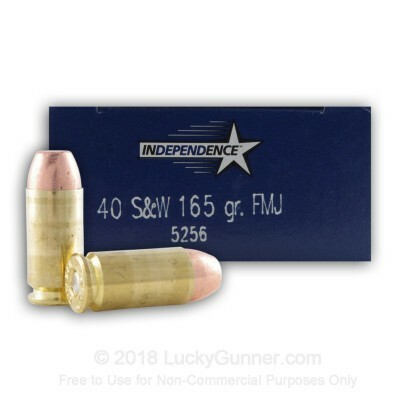 Newly manufactured 40 S&W 165 grain full metal jacket ammo by Independence, this product is brass-cased, boxer-primed, non-corrosive and reloadable. It is a great ammunition for target practice, range shooting and tactical training. It is economical, reliable and brass-cased. Independence is owned by ATK, one of the world's most established and respected ammunition companies who also own Federal, Speer, CCI and Blazer. 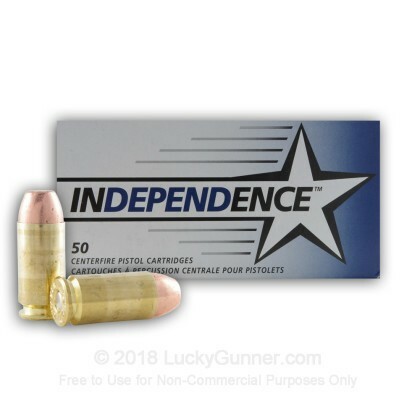 We don't have any reviews yet for this particular .40 S&W (Smith & Wesson) ammo from Independence. 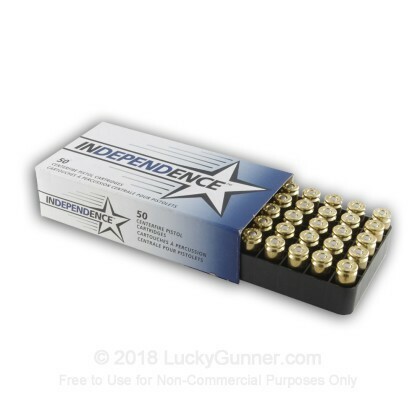 If you'd like to be the first to review this particular .40 S&W (Smith & Wesson) ammo from Independence, fill out the form below.